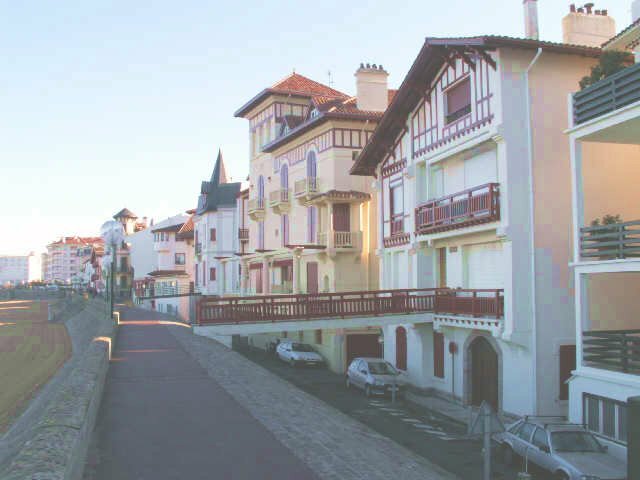 St Jean de Luz is a beautiful seaside resort and active fishing port not far from the Spanish border. The pedestrian shopping precinct has a medieval feel to it and includes many buildings of Andalusian style – some from ancient Moorish origins, whilst the town centre itself is distinctly Basque. Henry II was married to Catherine of Anjou in the cathedral church in the High Street and if you venture inside this building you will see a magnificent, gilded altar-piece which has been beautifully preserved. The town combines a mixture of old buildings in narrow streets with busy shops creating a friendly, cosmopolitan atmosphere. 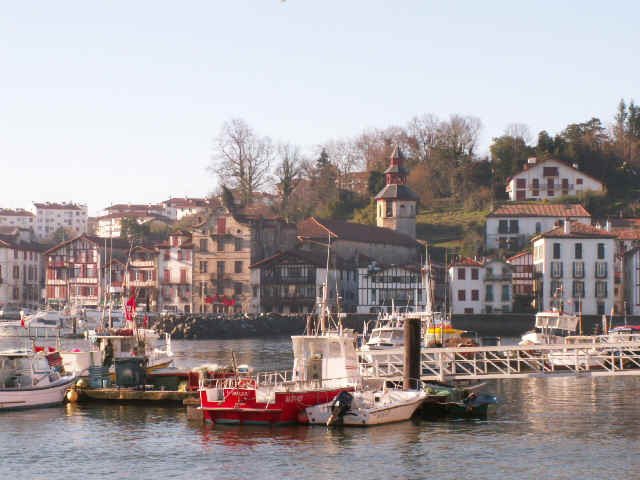 The fishing port and boating marina are a delight and when the town is full of tourists of all nationalities, the streets really hum, especially when one of the many jazz festivals is in full swing. The beach has superb fine sand in a huge crescent shape; whilst the bay itself is enclosed by breakwaters making it safe for swimmers, sail-boarder, canoists and surfers. When you wander through the lanes looking at the shop windows, you can find some of the best sea-food restaurants on the Cote Basque, as well as other bars and terraces from which to see and enjoy the regular musical events in the square – including a Basque Choir every Sunday morning (in the summer months).